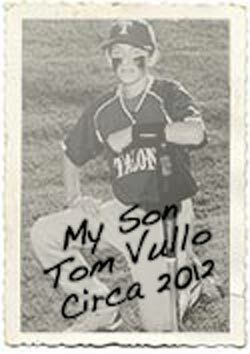 About Vullo Custom Wood Baseball Bats, and how our family has built this business. finish by one person, the owner. Historically all wood baseball bats were made by splitting logs and turning these into round billets. This process gave baseball bats straight grained wood. Hand splitting naturally follows the grain of the wood, resulting in a stronger safer bat. But with today’s large demand of wood baseball bats, most billet suppliers use saws to cut their logs. Sawing the logs often times cuts across the grain weakening the bat, increasing the chance of bat failure (breaking). 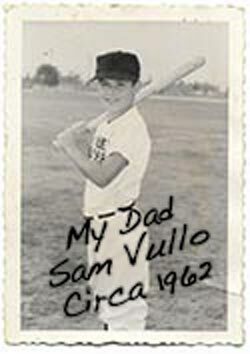 That’s why Vullo Bat Company starts with Hand Split Billets, both in Hard Maple and Ash. Our Billets come from the North Eastern part of the U.S, where the best, strongest wood is grown, and then Split by Hand! Our Billets are kept in a humidity controlled room to make sure that the Billets do not take on excess moisture and change the characteristics of the wood needed to make a good wood bat. Each bat comes with CUSTOM engraving of your choice! You can get your NAME, TEAM NAME, NICK NAME, #, or any combination, its all up to YOU! Please try to limit your engraving to 28 characters (engraving starts to look funny when you put too much engraving on the bat). 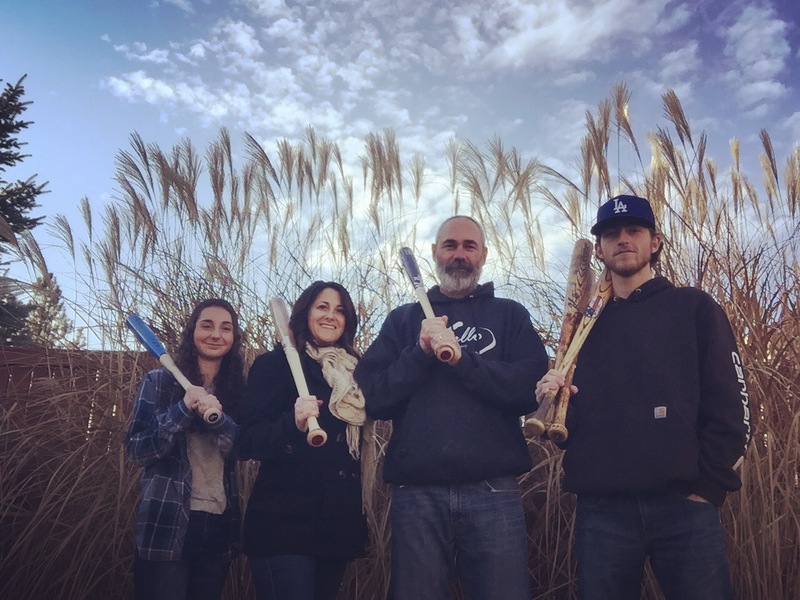 Vullo Bat Company does not warranty bats from breaking. Proper care, handling and use should be exercised to prolong the life of the bat. Bats should be kept indoors when not in use. Keep away from excess moisture. Vullo bats should be used with the “VULLO” decal facing the batter when holding the wood bat out in front of you; this will ensure that the bat is being used in the safest, strongest manner.